CrossWalk Center Executive Director, Kathy Vosburg spoke on March 26, 2017 at First Presbyterian Houston. Kathy gave a brief, but insightful look at the work that CrossWalk Center is doing and how the church can get involved. 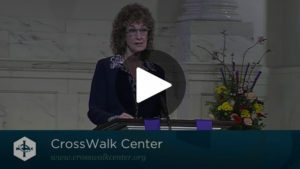 First Presbyterian is a valuable partner of CrossWalk. 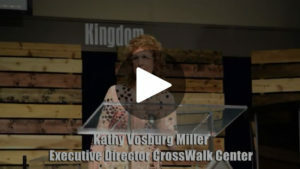 CrossWalk Center Executive Director, Kathy Vosburg spoke on 1/15/17 at Calvary Community Church about the heart and hope of CrossWalk Center and how we can come together to serve in this purpose.